An automatic garage door is one of life’s modern conveniences that can be hard to live without. If you are like most people, then you probably use your garage every day, and a functioning door just makes life easier. Of course, if your door is not working properly or if it is showing signs of wear, then it is best to address the issue as soon as possible. Damaged or rusty garage door tracks can be a major concern, and the following information will help you to understand why it’s important to call a Tamarac garage door service company as soon as you identify a problem. Bent tracks will be noticeable with a simple visual inspection in most cases. If your tracks are visibly bent or if you spot a location where the door is often getting caught, then it’s time to call in the professionals. Track damage is more common than most people think, and you may have damaged your own tracks without knowing it. Bumping into the tracks with a trailer, garden tools like lawn mowers, or your car, could all lead to immediate damage. This damage could cause your door to stutter or hesitate as it is opening or closing. With the worst damage, you may find that your door is constantly running out of the tracks, requiring reseating before it functions properly. Don’t try to repair your garage door tracks by bending them. This could lead to stress on the steel which could then cause a breakage in the future. A trained Tamarac garage door service technician will be able to determine whether repairs are appropriate, or if it would be best to replace your garage door tracks altogether. Modern garage door tracks are treated to prevent corrosion, but some older examples may start to show signs of rust in 2018. If your garage door tracks are more than ten years old, and they show visible rust, then it’s time to talk to an expert garage door repair company. Rusty tracks can lead to a whole range of problems that could be catastrophic for your garage door. Rusted parts of the track could flake and break away, leading to a collapsed door or a door that completely leaves the tracks. This is not only an inconvenience, but it could cause irreparable damage to your garage door. Rusty tracks are also dangerous because they could cause injury to a person or damage to a vehicle if the tracks fail at the worst possible moment. 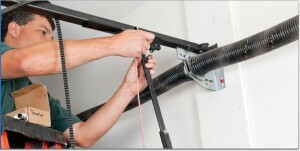 A garage door repair Tamarac company can perform a full inspection and replace garage door tracks. Modern tracks are designed to prevent rust and corrosion in even the harshest conditions. If you notice damage or rust on your garage door tracks, then you should take action as soon as possible. Failing to call a Tamarac garage door service could leave you with significant damage to your door and motor, resulting in a higher repair bill at the end of the day. If a garage door is regularly coming out of the tracks, then the door can warp and bend. Depending on the material used for your garage door, this could require replacement of your door panels. If your garage door is leaving the tracks, then this could also be putting unnecessary strain on your garage door motor or other moving parts. Again, this will lead to unnecessary repairs in the worst-case scenario. Rather than wait for the problem to get worse, always call a local Tamarac garage door repair technician to have your door inspected so that appropriate repairs can be performed. 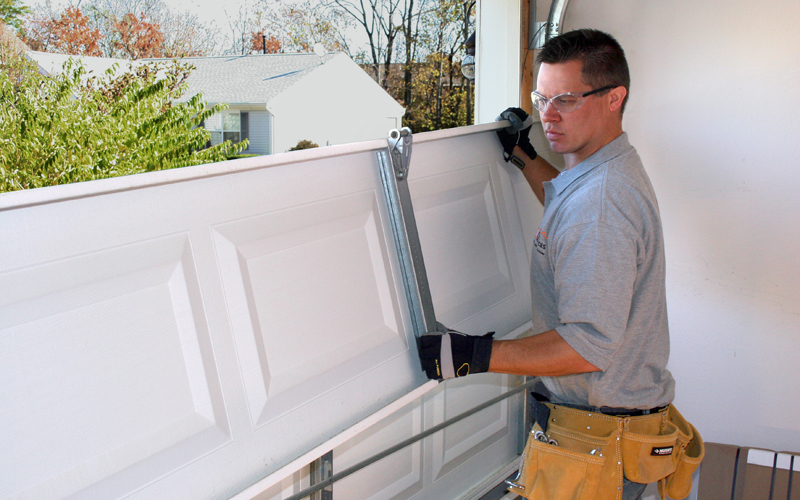 Professional garage door repairs are the best way to get your door in top condition and ready for daily use. With fast, efficient, and affordable service, you’ll enjoy the full convenience that an automatic garage door can offer. 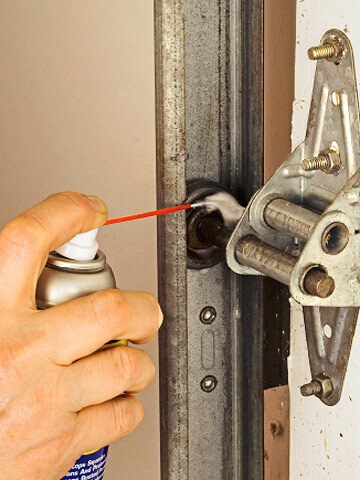 Contact the team at Garage Door Pros for garage door repair Tamarac today. Having a functioning garage door is a basic necessity for virtually everyone in Florida. It’s particularly important when the yearly storms head to town, and if you have internal access from your garage, you’ll want to be sure that your door is always ready to operate when you most need it. Of course, there are times when problems can occur, which is why you’ll always need to have the number to a leading garage door repair company on hand. One thing that can lead to necessary repairs, and it’s also something that many owners worry about, is how many support struts should be used on a garage door. If this is something that has been on your mind, then the team at Garage Door Pros is here to shed some light on the matter. Are There Enough Support Struts on Your Garage Door? 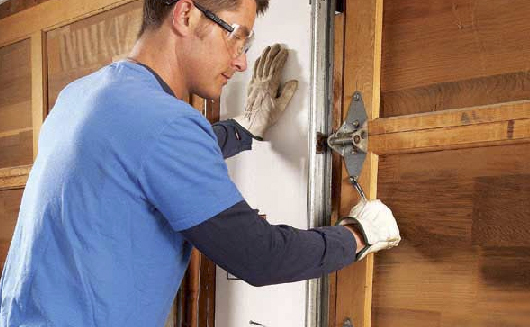 Without a single support strut, your garage door would simply bulge and fall apart. Struts are essential because they keep everything in line whenever your garage is being raised and lowered. Struts are typically made from steel to offer excellent support and lifetime, but it is possible to find aluminum used in some installations. While aluminum can provide enough support for lighter garage doors, it is typically softer and more prone to bending and failure. The number of struts on your door will depend entirely on weight. It’s impossible to tell you how many struts you will need, without first examining your door, the materials used, and its raising/lowering mechanism. However, we can tell you that heavier doors made from wood and metal can sometimes need up to two support struts per panel. If you have a heavy garage door that has only a single strut on panels, then you could be in for sagging problems in the future. If you’re ever concerned about your door, then it’s time to talk to our garage door repair Sunrise. One telltale sign that you don’t have the right kind of support, is when you are having difficulty opening or closing the garage, there is visible sag, or the ‘smoothness’ of the opening mechanism has deteriorated since the garage door was installed. In some cases, you may even see obvious damage to the struts or your garage door. Poorly designed struts or struts that weren’t designed to meet the weight requirements of your door panels will display signs of bending or warping. They may be coming visibly loose at their mounting points, or they may even rattle or move when you gently check them by hand. Although these problems aren’t a 100% confirmation that you have too few struts, they will still let you know that it’s time to call a garage door repair company to make sure that your door is in good working order, and protected from future damage or failures. If you’re like most homeowners, then any time that you need a business to perform maintenance or repairs at your home, you will always make sure that you’re getting the best possible company. It doesn’t matter whether it’s an air conditioner repair service, tree removal or landscaping service, or a Sunrise garage door service, this statement remains true. If you’re looking for experts in the Sunrise area of Florida, then it’s time to talk to Garage Door Pros. Although we’re a relatively young company, we’ve quickly become a trusted industry leader. In the past five years, we’ve gained plenty of recognition and positive customer feedback for our garage door repairs, servicing, and installations in South Florida. Determining the number of struts that you need is all about expertise, just like any other problem that you might be experiencing with your garage door. We bring that expertise to every job that we attend so that you can have accurate advice and necessary repairs for any problem. Whether those problems are electronic, mechanical, or even related to a poor installation, we’ll have the right solutions and experience to ensure that you are left with a fully functioning garage door and one that is at a reduced risk of failure in the future. Contact our garage door repair company for any of your garage door problems, and we’ll ensure that one of your home’s most valuable assets is always in top working condition. Garage Door Pros is your premier garage door service in Fort Lauderdale. With years of extensive industry experience, we have the tools and expertise to repair, service and maintain all types of garage doors. We also offer free quotes and estimates, along with a detailed inspection list to salvage or replace your business or home garage doors. From springs and tracks to rollers and wireless remotes, our highly-dedicated technicians are able to restore optimal performance and functionality to your garage door units. Similarly, we can help you find the right door for replacements, including traditional wood, metal, and aluminum and even roll-out doors. With any garage door repair service, communications are essential for both the customer and technician. In fact, you should ask as many questions as possible to get the right information. This includes how long the repair or service job will take? Along with the cost and whether this service is covered by your home insurance or not? Similarly, you must inquire about which parts and components need replacement, and what new modifications are available to prevent future mechanical problems and issues from occurring. Garage door rollers, tracks, motors, and central units. Wireless remotes for optimal correlation with car openers and existing alarm systems – CCTV. Complete replacement of business and home garage doors if needed. Ensuring weather-proof sealing, along with blocking the entrance and exit ways for small animals. Testing the opening and closing of your garage door, while checking sensors, openers, remotes and all related equipment and accessories. Checking for dents in your doors and repairing them onsite. As always, Garage Door Pros will try to salvage your door but will recommend replacement if the unit has outlived its shelf-life. Garage Door Pros has deep roots in the community. In fact, we have established lasting friendships with many of our past and existing customers. As your professional garage door repair Fort Lauderdale, we are genuinely concerned about the safety of you and your loved ones. After all, a broken garage door can cave in – causing structural damages and other problems. To prevent this from happening, it is imperative to have your garage doors checked at least twice a year. This helps us catch any potential problems before they result in accidents in the home or business. With this in mind, our technicians are committed to excellence in all garage door repairs and services. No job is ever too big or small, and we remain fully certified and insured across the board. If your garage door is making funny sounds or not opening and closing properly, chances are its experiencing mechanical failure. You need Garage Door Pros to inspect the garage door with true precision and concision. With the year almost over, here are some more benefits of maintenance inspections and repairs. Professional and cost-affordable garage door repairs for new and recurring customers. Helping customers choose the best replacement doors for their home or business garage door units. We offer maintenance post-installation maintenance plans for clients. This ensures your garage doors are operating at peak-performance rates year round. Garage Door Pros is an industry leader in garage door services in Fort Lauderdale. We continue to receive great industry ratings and customer reviews as well. We are committed to helping our customers get the right garage doors for their properties. One phone call or e-mail is all you need to schedule a complimentary consultation and receive a free estimate and quote. For more information on garage door repair services in Fort Lauderdale, simply contact us today or visit our website. If you're having issues with your garage door, then you're going to need a Plantation garage door service to come and check it out for you. There are all kinds of things they can do for you, but there are some things that they can't. Here's three things that you won't be able to ask your repairman to do when they come to take a look at your garage door. Every homeowner knows the fear of calling out a service to help with their appliances, only to be overcharged for the work they do. As business regulations get better and better, this is becoming less of an issue. This is especially true of garage door services. When you book a service to come to look at your door, they'll give you an estimated price on the repairs, and they should give you this in writing. They should also lay out the price of any other repairs that may need doing before you agree to sign on for the repairs. This way, you'll never be caught out by a price that seems overly inflated. When you call in a garage door repair company, you'll have some idea of what needs to be done to get your door working again. At least, you'll be able to tell them what's going wrong with it. When that repairman comes, they'll take a look at the problem for you, and should be able to diagnose it for you. If you agree on the price, they'll then get to fix it for you. What's good to know is that they will only repair the issue at hand, and not make any unnecessary repairs. You'll be paying for exactly what you called the repairman in for. Once the repairman is in your home, they'll need to give you an estimate for how long it'll take for the repair to be done. A good, experienced repairman will know just how long it will take them to get a job done. They'll tell you just how long it will take them to get the repair done, and they won't skimp on time to ensure the job is done properly. They do this as you need to know exactly how long you'll be without your garage door. A good repairman will understand that your time is important, so they won't underestimate just how much time it'll take to repair the problem. Ok, so now you know what your repairman can't do for you, what can they do for you? A good repairman can do a lot to ensure that your garage door will be repaired as soon as possible. They can often come out the same day, or the next day, come to take a look at what needs to be done. They'll be honest with you about what needs to be done, and how long it'll take to get it done. In many cases garage door repairs can be fairly quick, some only taking half a day or less. That means that you can have the use of your garage door back sooner than you'd think. Once they've diagnosed the problem, they'll then be able to get to work. They'll get the parts they need in as soon as possible if they don't already have them. Once that's arranged, the repair will be done quickly and simply, so you don't have to wait. Most importantly, they'll do the job safely so you and your home are protected. Garage doors can be dangerous when they're not handled properly, and a good repairman knows it. They'll have the training and expertise required to ensure that repair is done safely. Once it's done, they'll clean up and leave your home in the same condition they came to it in. As you can see, if you hire a good garage door repair Plantation service, you'll get excellent service through and through. Don't delay when there's an issue with your garage door. Call on that service to come and repair it as soon as possible. How To Tell When You Need A New Garage Door in Davie? Your garage door is consistently squeaking, squealing, or screeching when opening and closing. Your garage door makes a lot of noise when opening or closing, along with moving slower than usual. Your garage door is halting, stopping, or no longer correlating with motor functions and performance. Your garage door has dents, along with track alignment and roller problems. Your garage door continues to malfunction despite services and maintenance. As your garage door repair Davie specialists, we have the tools and expertise to install, maintain and service all new doors. In fact, we offer convenient garage door maintenance plans, which protect your investment and ensures door longevity and performance. Similarly, we can replace springs, rollers, and tracks, as well as motors, wireless remotes, and all programming for existing alarm systems and CCTV. 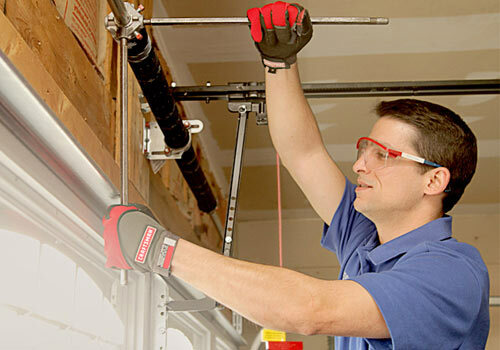 At Garage Door Pros, we are committed to excellence in all services. No garage door installation – repair – service job is ever too big or small, and we are fully certified and insured across the board. Replacing old, broken and outdated garage doors that are making excessive noise. Fixing or replacing broken garage door sensors. 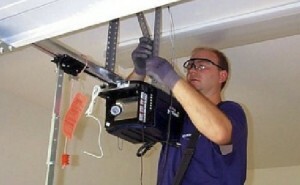 Garage door tune-ups for residences and businesses. Professional, affordable and certified garage door installation, services and maintenance. Keyless, entry systems, wireless remotes, alarm correlation, and CCTV. Garage Door Pros is your garage door repair experts in Davie, FL. In fact, our detailed inspections check for signs of mechanical failure and malfunction. We also realign the rollers and tracks for optimal performance. As the main entry and exit way for homes and businesses in Davie, garage doors must be fully operable at all times. With this in mind, we provide our new and recurring customers inexpensive, but reliable and dependable garage door repair Davie. While we try to salvage all types of doors, we pay strong attention to detail and will let you know if a new door is your best choice. New garage doors are a worthwhile investment for any home or business. With free installation service quotes, our highly-dedicated team can help you choose the right door at cost-affordable rates. With the best garage door installs and services, we stay in touch with all customers to ensure they are pleased with their new doors. With any new door, however, maintenance is essential to preserving mechanical functionality and performance. With this in mind, we can inspect your new doors once or twice a year, while performing modifications and repairs. At Garage Door Pros, we stay abreast of all the latest industry trends and developments. This allows us to offer the best garage door services with the best brands and accessories. As always, we can help you save money while avoiding other installers that only care about the dollar value. We treat all customers like family and are genuinely committed to achieving your desired results. For more information on garage door repair in Davie, simply contact us today or visit our website. Has your garage door opener stopped working? You're going to need to get it fixed sooner rather than later, to keep your home secure and keep your car safe. Can you do it yourself, and is it worth it? 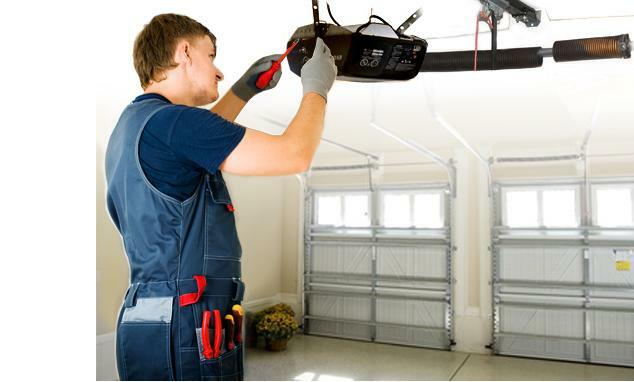 Here's everything you need to know about replacing a garage door opener. Do you have around half a day to devote to the repair? Can you lift around 20lbs over your head? Can you follow quite a lot of instructions from an instruction manual? Do you have the correct tools to do the job? If you can answer yes to these questions, then you can start repairing that garage door opener. Now you've decided to do the repairs yourself, you'll need to think about what kind of garage door opener you're going to buy. When you go to the hardware store to find one, you'll see that there's a wealth of options out there. Which one you get is very much up to you, but it's a good idea to ask for help in the store if you're unsure. If your old opener was getting loud and you want a quieter model, then a belt fed model will be the one for you. These use a reinforced rubber belt to move the garage door up and down, rather than a chain. If you pick this type though, be aware that your choices will be quite limited. If you're certain that you want reduced noise, though, this is the one for you. You'll also want to consider how the door is opened when you want to enter. These days, it's becoming more common to have a button in your car that opens the door. When you're replacing your garage door opener, you'll need to ensure that the system you use work with your door. Read reviews carefully, and talk to the staff in the store. It's easy to buy an opening system that isn't compatible with your car, so make sure you're paying attention to the reviews and buying the right one, to save yourself time. There are other options you can choose too if you're looking to replace that garage door opener. Why not take the time to customize the door to your liking? For example, you can add a keypad to the door in order to ensure you can get inside, even if you lock yourself out. In many cases, door openers are now being bundled with keypads. If yours isn't, you can still add one quite inexpensively. You can also add a timer to close the door, in case you forget to. You may not forget often, but when you do it does leave your home open to elements. With a timer, the door will close after a certain amount of time, keeping your home safe. If you've read all of this and you're still not sure if you could do it, no problem. You can contact a garage door repair Hollywood, and ask them to come and handle it for you. There are some benefits to this that you wouldn't get going the DIY route. Firstly, when you call in the experts they'll be able to tell you about which model of door opener will be right for you. Also, when they install the opener, they'll be able to do it safely, protecting both you and your home. If you're up for the challenge, you can replace your garage door opener and get it working again right away. Ask for help at the store and pick the right model, and you'll have your garage door up and running again before you know it. If you have a little know-how and the right tools, you'll be able to handle it yourself. Less than an hour from Disneyland Park in Anaheim, CA, the Walt Disney Company began in Los Angeles by setting up “The First Disney Studio” in the one-car garage out back in 1923. Jeff Bezos, the founder of Amazon.com, had an online bookstore operated completely out of his garage in Bellevue, Washington in 1994. Computers, which is now the most valuable technology company in the world. Interestingly, even Google, Harley Davidson, Lotus cars, the Yankee Candle Company, and many more were all humbly started in a garage and were founded by young entrepreneurs. Whether you are an aspiring entrepreneur discovering in your garage or are just using the extra space for storage, your garage should be kept safe and secure. Not only does your garage provide protection from the weather, shields your vehicle, gives you a little extra storage space, and keeps your house warmer, but as the biggest entranceway into your home, your garage door must be strong and secure to keep out unwanted pests and burglars. A broken or worn out garage door can be a threat to your safety. Call the garage door repair Miramar, Florida! Let the trained, certified professionals come to your rescue. Do not wait; call the Garage Door Pros at the repair garage door in Miramar and they will send a crew out to assist. We are available every day of the week from 7 a.m. – 12 a.m. but what if your garage door breaks in the middle of the night and you cannot leave for work in the morning? Call our 24/7 hotline and speak to our call assistance center that offers emergency services. No weekends or night times will prevent us from doing our jobs or serving our community. Our professionals at will always come to your aid in a timely and efficient manner and you can always expect swift and flawless service. With over 900 5-star reviews, you can trust our quality! We even offer a price-match guarantee. 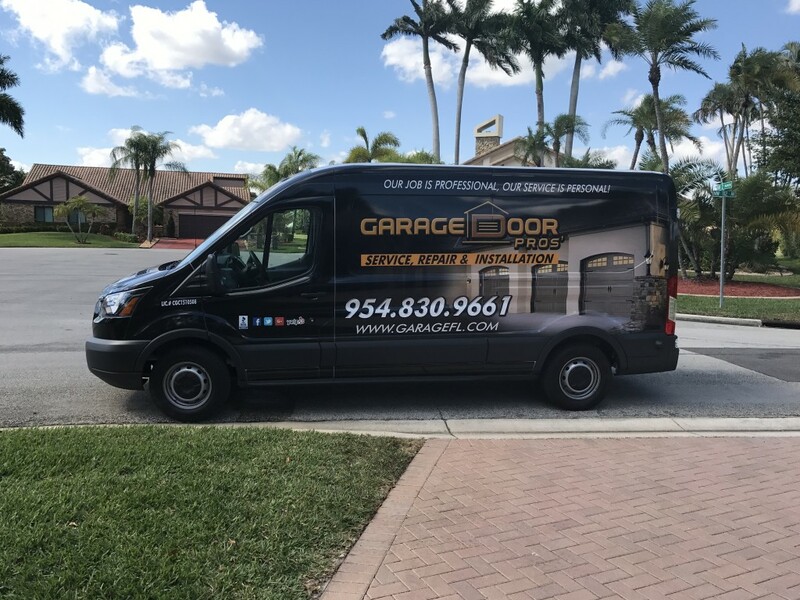 Since 2012, the Garage Door Pros have successfully served the community of South Florida, and are gaining more and more recognition each year for unparalleled garage door services. We are a family-owned business and are proud to be one of the leading garage door companies with one of the lowest costs. Your full satisfaction is always our goal. Communication is key and we promise to explain every step of the process in detail and ask your opinion before we fix or replace something. 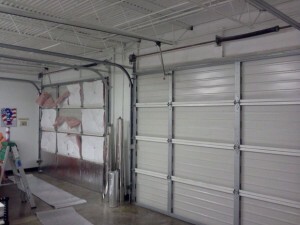 We are dedicated to maintaining and installing quality garage doors, too. Like most things in life, maintenance is required to keep everything in proper working order. 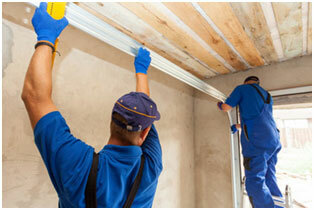 We offer tune-ups and regular upkeep to ensure that you do not get caught in a bad situation. The garage spring repair in Miramar offers services and repairs for broken springs, broken rollers, snapped cables, overhead failures, doors that are off track, noisy garage doors, etc. Remember that garage doors are heavy and awkward and can be quite dangerous if not handled correctly. Please wait for a professional member of our team to arrive and inspect the scene before rushing in and trying to fix it yourself. Our staff is trained and well-equipped to handle anything, and we do not want anyone to get hurt trying to act on their own. Our company is licensed and insured so do not worry if an injury would ever occur on your property. Well, the problem could be a simple case of lack of lubrication, or it could be a sign that you need to have your garage door serviced before it becomes a more troublesome issue. If your garage door recently started making crazy noises, you know the noises you hear in horror movies you’re probably getting a bit worried. The fact that it’s still opening properly is probably reassuring you, but no doubt there’s a mini-you on your shoulder telling you that you should take care of it before this small problem becomes something much bigger than you probably won’t be able to handle on your own. You are heading out to go to work. Get ready for work, and go out to your car. When you press the button to open your garage door you get goosebumps as you hear the strange but scary sounds your garage door makes, this is when it may be time for a Weston garage door repair company. It’s inconvenient and painful to your ears. When your garage door opens it sounds similar to a screaming horror victim when it slides on its tracks. We have the tools necessary to deal with this huge headache. 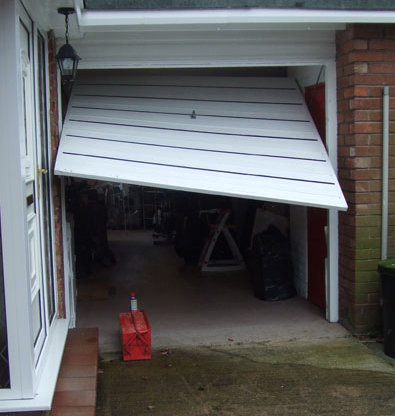 Noisy garage doors can be the reason for a number of problems and can create new ones as well. Neighbors can complain about the noise, it can be aggravating to family and friends, and above all, it could be an indication of another problem as well. So, having a professional look at it right away to fix the noise can prevent a costlier repair for the future. This type of sound is normally a sign that the garage door opener is having trouble lifting and lowering the door. This is a problem that you need to hire garage door repair Weston company to investigate. Have them look over the top of your garage door and check whether one of the torsion springs is broken (double garage doors have two, single garage doors have one). If your one and only torsion spring are broken over your single garage door, the door opener may still be able to open the door, but this does pose a safety risk. It is, however, highly unlikely that both torsion springs on your double door break at the same time. If you do have a broken spring, you must act without delay. Tired of waking up the neighbors every morning as you leave for work with the sound of opening your noisy garage door traveling down the block? There are numerous potential reasons for a noisy garage door, whether it’s been bent out of shape and isn’t moving smoothly on its rollers, the rollers themselves haven’t been maintained properly and have rusted or broken, or even just because the door itself is outdated. No matter what the reason though, noisy garage doors can be a nuisance. Good thing you came to Weston garage door repair company. Our experts can assess the reason for your noisy garage door and repair it as necessary in no time, whether it’s a simple maintenance issue or you’re in need of a whole new door. Contact us today to get a free estimate!